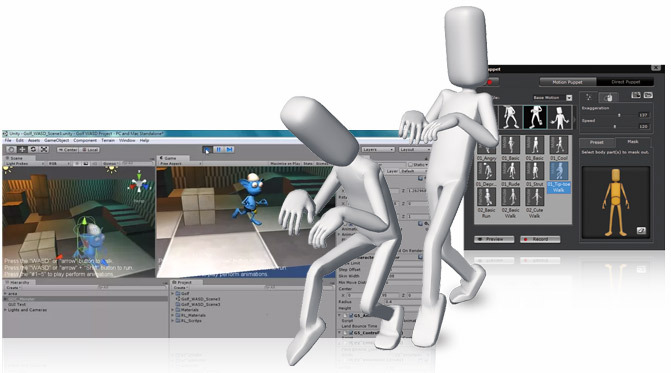 To better understand the iClone plus 3DXchange5 Pipeline total solution, you may visit iClone Animation Pipeline and 3DXPortal website to know more. Previously, iClone was known as a proprietary content generator for practical image and video rendering. 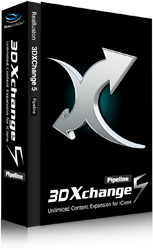 But now, with 3DXchange5 Pipeline, users can publish iClone content in any interactive platform, game engine, mobile app or web player. iClone's real-time engine is also compatible with game design environments. The polygon-optimized content is not just for real-time game operations, but also for rendering cut scene animations and game trailers inside iClone. With iClone, your animation arsenal just got much more powerful! iClone users now have a variety of choices to enrich iClone content with custom shading and rendering options inside external tools. Likewise, animators and game developers worldwide can now exploit, and combine, iClone's dynamic tools with their favorite CG applications or video game engines. Use iClone content in different platforms. iClone users have it easy with tons of persona and basic everyday animations that are essential for any tookit. These animations are embedded right inside iClone, giving users the chance to freely export them for use in other tools. iClone users can use over 30 characters and 640 motions, making iClone's content alone a great value! For themed content, users can search in the Content Store or Marketplace, or acquire export licenses through the new 3DXPortal website. The new 3DXPortal website which contains tons of export-ready content, with easy access, ideal for multi-use pipelines and projects. If you are a 3DX5 Standard or PRO user, then you may choose to upgrade to the full 3DX5 Pipeline version to enjoy all the new, and powerful features essential in any professional toolkit.